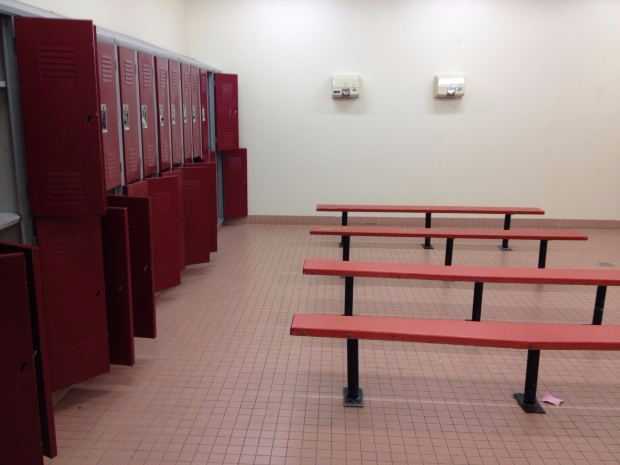 SAN DIEGO, Calif. — A teenage girl who identifies as a boy has sparked controversy at a California high school as some students and parents are expressing concern about her use of the boys’ locker room. Franz said that other boys in her son’s class were likewise uncomfortable with having a girl use the locker room with them to change her clothes. She stated that she not only was concerned about the allowance, but also that parents had not been informed about the situation. “When I think about all the permission slips that I’ve had to sign over the years for my kids to watch a PG movie or a PG-13 movie in the school classroom, and yet they could be facing a potentially R-rated situation right in front of them in the locker room, and I don’t get to be notified, that’s just not okay,” Franz said. Parents and students alike packed this week’s board meeting to speak about the controversy at Rancho Bernardo High School and a law passed two years ago that required schools and other facilities to accommodate transgender students. Franz said that she had been leveled with “vile attacks and death threats” over her stance. Supporters of the transgender student launched an online petition, which generated 1,200 signatures. The board, while listening to both sides, did not take action on the matter Tuesday night. The issue will rather now be left in the hands of Poway Unified School District Superintendent John Collins. He said in a statement prior to the meeting that the district had been seeking to strike a balance between both interests since the accommodations law was enacted in 2014. “Over the past two years, we have worked to ensure every student’s right to privacy, as well as every student’s right to feel safe, valued and included on our campuses,” Collins wrote.